I purchased this product a few days ago at Walmart for $7.97 cdn. My shade is in 325 Buff Beige. 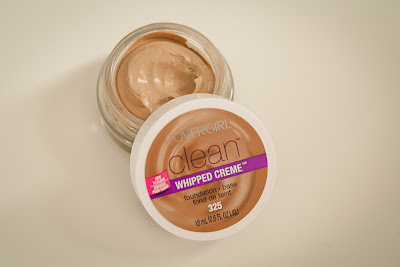 This offers a medium coverage with a dewy finish and it feels light on my skin. I also noticed that a little amount goes a long way. I dab about a size of a pea on my cheeks, forehead, nose and chin and blend it with a foundation brush or a stippling brush and it covers my entire face. For those who has the same skin type like I do which is an oily skin, you will need to apply a primer to help control some shine. I use the MAC-Matte and this works well this foundation. This foundation last for about 7 hours without any touch ups, which is AWESOME! I do give this product a two thumbs up, and with the price I think it's a steal! I definitely recommend this product to anyone.